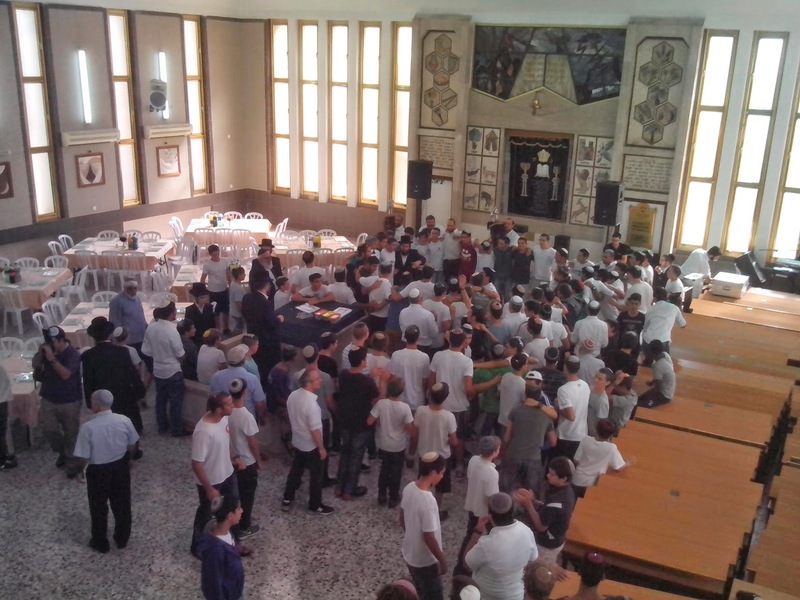 Two new Torah Scrolls were dedicated in a special celebratory luncheon at YBA Tikvat Yaakov,on October 19th, marking the 60th anniversary of the yeshiva high school. The Torah Scrolls were donated by the children of Jules and Barbara Nordlicht, in honor of their father's 80th birthday. YBA Tikvat Yaakov, located at Moshav Sde Yaakov in the Jezzriel Valley, was established in 1954 as the fourth Bnei Akiva high school yeshiva in Israel. The Jules and Barbara Nordlicht were among the first supporters of YBA Tikvat Yaakov, and the American Friends of YBA. Their sons, Meir and Chaim Nordlicht and their wives continue the family tradition of support for YBA institutions in Israel, and by bringing their children to Israel for the dedication ceremony, they are educating yet another generation.to hold the YBA educational network in high esteem.